'Death Class' Taught Students A Lot About Life After covering the shootings at Virginia Tech, journalist Erika Hayasaki became interested in how people respond to death. Her new book is about a nurse and professor named Norma Bowe who taught an entire class to help students confront death head-on. Plenty of college courses delve into the big philosophical questions of life, but Norma Bowe's class was different. For years, the nurse and college professor taught a class that forced students to confront death head-on — there were poems about death, trips to cemeteries and funeral homes, and "goodbye letter" writing assignments. At its core, the class became an opportunity for students to try to come to grips with the death or pending death of a loved one in their own lives. In Death Class, journalist Erika Hayasaki — who covered the 2007 shootings at Virginia Tech — tells the story of the class and the students whose lives were changed by it. Click the audio link above to hear Rachel Martin's conversation with Bowe and Hayasaki. Erika Hayasaki is a journalist. And, like a lot of reporters, she has covered stories of great tragedy and loss. In fact, she was one of the reporters who covered the mass shootings at Virginia Tech in 2007, in which 32 people were murdered. All of that made death feel more present in her life. Later, when she was covering stories in New Jersey, she came across an article in the campus newspaper. It was about a class on death at Kean University and it was a hit on campus. ERICA HAYASAKI: Students were really lining up to take this class and they don't even want to miss the class. 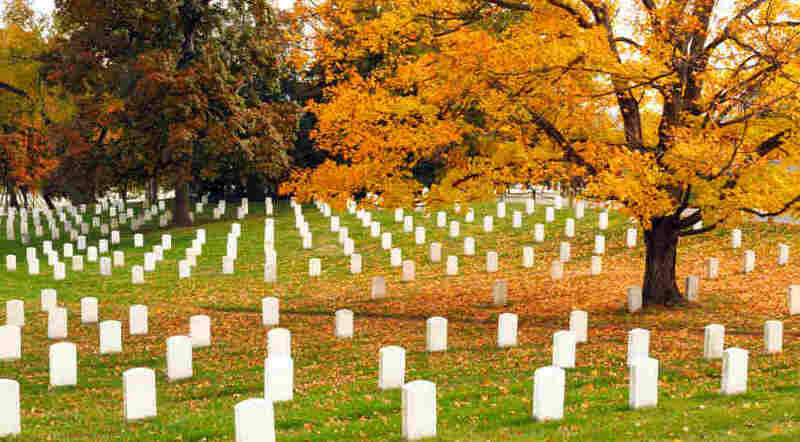 So it was interesting to find out how popular a class on death could actually be on a college campus with young people. MARTIN: Norma Bowe is a former nurse who teaches that class. 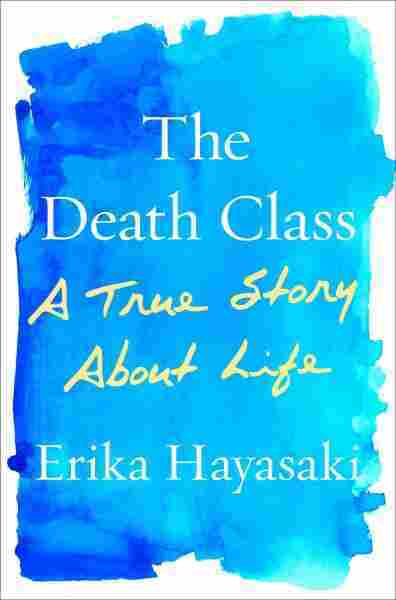 Erika Hayasaki took her course and has written a new book about it called "The Death Class." I recently spoke with both women. Erika Hayasaki started off by describing Norma Bowe's unusual field trips. HAYASAKI: She takes her students to morgues and cemeteries. She does lectures in the cemetery on the biology of dying. She takes them into maximum security prisons, crematories. I mean, it was constantly exciting and, you know, there were so many places that we could go. MARTIN: Norma, what holes did you see in our collective education, our understanding of death and dying that you would think something like this would be necessary? NORMA BOWE: You know, I think in our culture we spend a lot of time avoiding death. We don't talk about it. If someone we love dies, we, if we're lucky, get maybe a three-day hiatus from work and from school and we're just supposed to move on. And I think that's a real disservice because I think unless you're able to properly grieve, you know, you can get pretty physically sick from carrying around that kind of a burden. On our very urban campus, for instance, we have a lot of students that have had friends that were murdered or they know someone personally who committed suicide or died in an accident. And, you know, I wanted to give a place where students could feel safe exploring, you know, the ways that grief could hold us back, that we can stay stuck, ultimately to kind of encourage people to live their lives because we don't know when we're going to take our last breath. MARTIN: So, what are these classes like? BOWE: Well, it's a really amazing process. We start off the class. They come in and they're sitting in a lecture-style room with the rows of seats, as you can imagine. And the first thing I do is pull everyone into a circle and we form a bereavement group. And there's something very powerful about being in that circle and having to look people in the eyes. MARTIN: Erica, you were sitting in those classes. Did it feel like therapy? HAYASAKI: It didn't feel like necessarily therapy but there were students who came and openly were grieving. And I think Norma knew how to handle each student in the different issues that they come to the class with. And I think that's important if you're going to have a death class. She also had the medical background, so you learn about the biology of dying, psychology, the theories and the history of it, which I think really helps to talk about such a complex, difficult subject. MARTIN: In the book, you profile several of the students who've taken Norma's class. Can you tell us a little bit about Caitlin and Jonathan? HAYASAKI: Sure. I met Caitlin and Jonathan through Norma while I was following the class. And Caitlin was one of Norma's students who at the time that I met her was dealing with a lot of death anxiety and obsessive-compulsive disorder. And she was in love with a young man named Jonathan, who - Jonathan actually when he was a young boy saw his mother murdered in front of him by his father. And so he came with his own struggles. And the two of them got to know the professor over the course of the next couple of years very closely. And I was fortunate enough to be around during a lot of that to see how she had such an impact on these two students in particular and helping them both - Jonathan, for one, find his voice - and Caitlin to conquer some of her fears that something is going to go wrong. MARTIN: And lastly, Norma, I wonder what do you hope people take away from this book? BOWE: I really hope that this book will bring a conversation to the table if people could talk more about their fears of death, about anticipatory grief, about how they're feeling and how they're doing after someone they love has died. You know, I'm hoping that more people will look each other in the eye and really ask the question how are you doing and get a real truthful answer. MARTIN: Erica Hayasaki and Norma Bowe. Erica's new book is called "The Death Class: A True Story about Life." Thanks to both of you.